Soul food is the traditional food of the African-American community in the southern United States. Although, soul food originated in the South, it can now be found in most African-American communities in the country, including all major cities. Chitterlings (also known as "chitlins") - Slow cooked pig intestines. They are cleaned, then cooked by boiling or stewing, and then often battered and fried. They are usually eaten with vinegar and hot sauce. Chow-chow - A spicy pickle relish made from mixed vegetables and served cold. Country fried steak - A piece of beef steak coated with seasoned flour and then fried. It is usually eaten with white cream gravy, beans, and mashed potatoes. 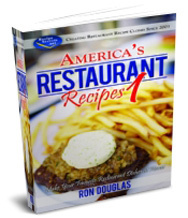 The dish is also sometimes known as "chicken fried steak", not because it contains chicken (it does not), but simply because the preparation method resembles that used for fried chicken. Cracklins - Fried pork rinds. Fried chicken - Chicken coated in seasoned flour and then deep-fried. Fried fish - Fish coated in seasoned cornmeal flour and deep-fried. Catfish are most commonly used, but other fish can be used too. 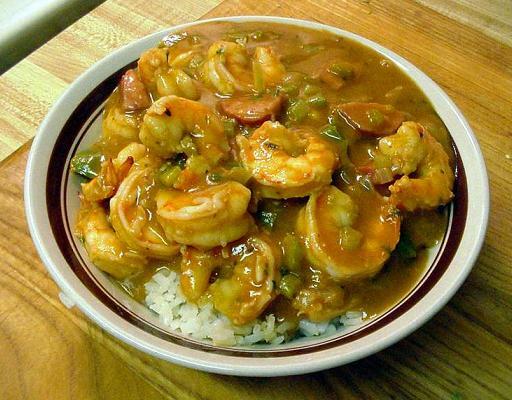 Gumbo - This is a Cajun and Creole recipe that also been adopted into Soul Food. It is a soup made from meat or shellfish stock, bell peppers, celery, and onion. The soup also usually contains poultry, smoked pork, and local shellfish such as crab, crawfish or shrimp. Other items such as andouille (a sausage made from smoked pork, chitterlings, onions, wine and seasoning) and tasso (smoked pork shoulder) are often added to the recipe, which can give it smokey flavor. Grits - A thick maized-based porridge. It can be eaten with breakfast, or served with fish or meat at dinner. Hog maws - Pig stomach sliced and cooked with chitterlings. Hushpuppies - Deep-fried balls of cornmeal (maize) bread. Johnny cakes - Fried cornmeal (maize) pancakes. Oxtail soup - A soup made from beef tails. Pig's feet - Slow-cooked and sometimes pickled. They are often eaten with vinegar and hot sauce. 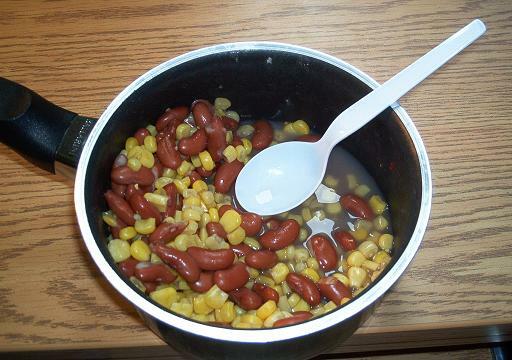 Succotash - Corn, tomatoes and butter beans cooked in butter.